Birmingham ground to a halt yesterday as thousands of screaming fans flocked to catch a glimpse of an American YouTube star. 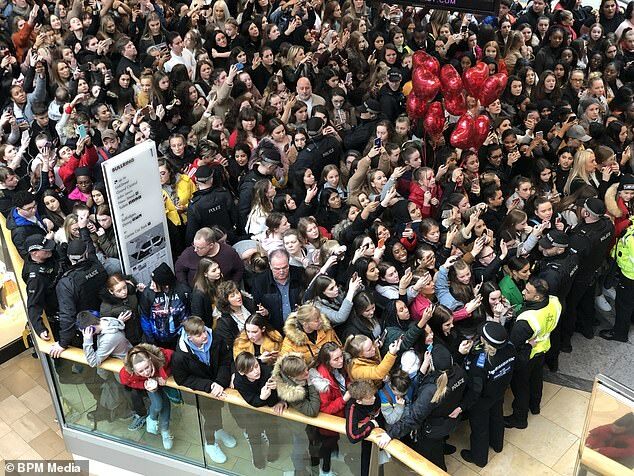 Vlogger James Charles made a 30-second appearance inside Birmingham’s Bullring shopping centre causing chaos as screaming fans blocked the floors. Motorists were forced to ditch their cars and the city was gridlocked for hours as frenzied teenagers rushed to see the Instagram personality. 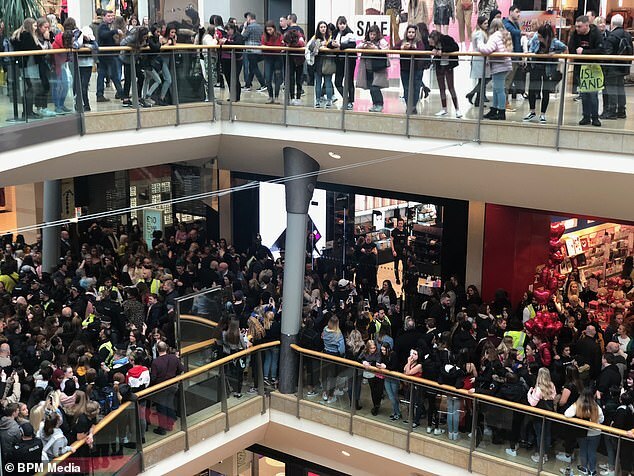 And shoppers were forced to abandon their trips while the city’s bus system was brought to a standstill up as thousands queued to meet the makeup guru. The 19-year-old was in the city to cut the ribbon for the grand opening of Morphe Cosmetics, previously only available in London. 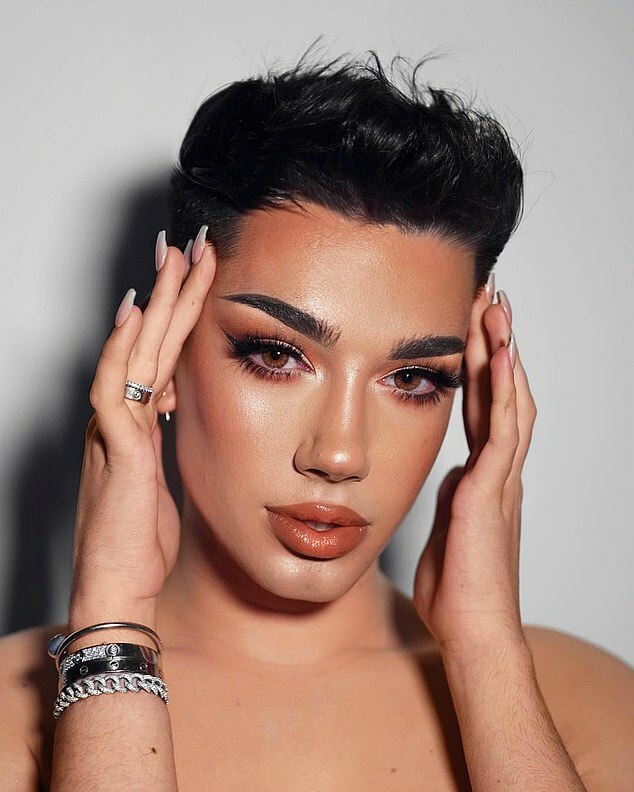 Mr Charles rose to fame online doing makeup tutorials in 2015 and has since gathered a following of 12 million YouTube subscribers and 13 million Instagram followers. This is his first time in the UK, and he only plans to make the one public appearance to open Morphe at the Bullring. Mr Charles said: ‘I’m so beyond excited to be travelling to the UK for my first time ever. The make-up artist also met 250 fans who were randomly selected through a ballot. 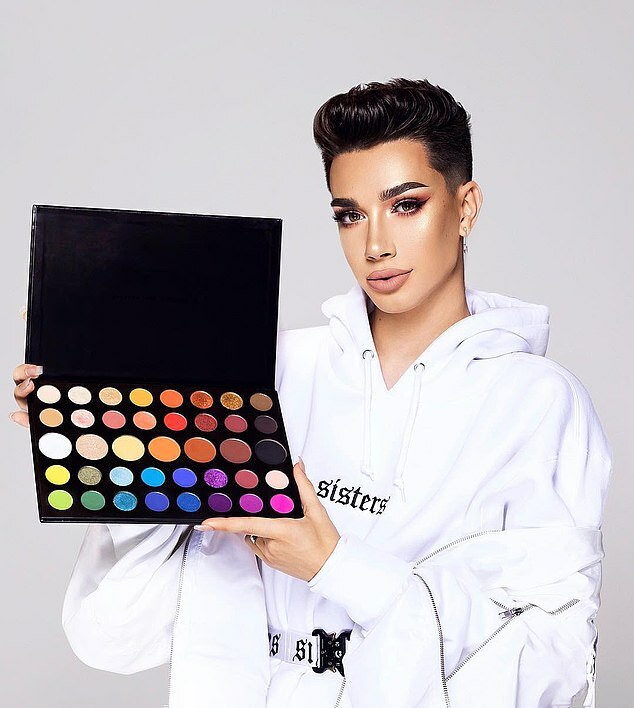 James Charles is a 19-year-old male beauty blogger from New York, USA. He started doing make-up tutorials in 2015 but rose to prominence in October 2016 when he became the first ever male face of beauty brand Cover Girl. His social media following grew further after doing a Halloween make-up video with Kylie Jenner. 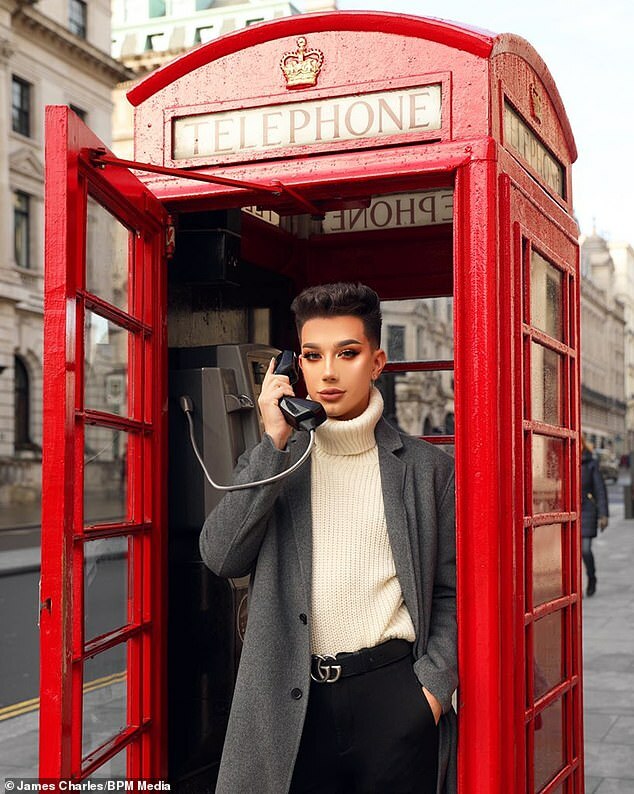 He has 25million views on YouTube and millions of followers on Twitter and Instagram, where he describes himself as ‘a 19 year old kid with a few blending brushes’. ‘But there are so many kids here you can barely see a thing, he’s very clever only doing one event and attracting this kind of crowd. James Pattison, 18, went to the Bullring with girlfriend Amy in the hope of getting a glimpse of Charles. James said: ‘Loads of the girls from our school are obsessed with him, she watches all his YouTube videos. ‘We didn’t think it would be this busy but it’s absolutely crazy. Mr Charles announced his arrival in the UK with a social media post in front of a red London telephone box. 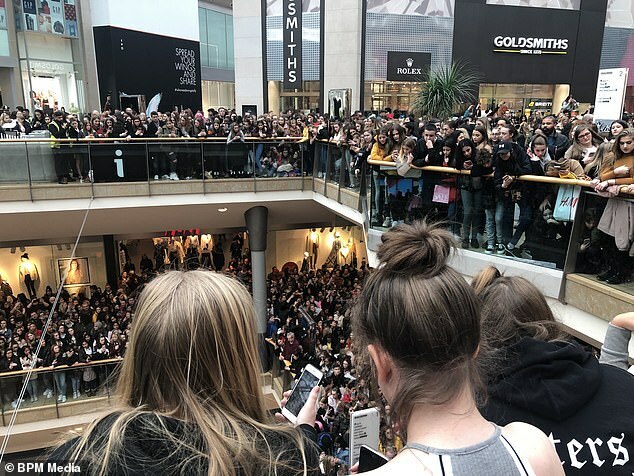 Bullring and West Midlands Police have not not responded to requests for a comment regarding the number of police officers who were present at the event.